VW. Here Comes The Sun, a photo by Davidap2009 on Flickr. I think this shot is one of my fav’s from the day. 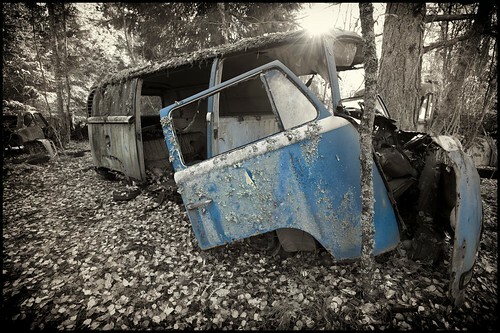 A cold and frosty start and then the sun breaks through the trees just as I line up this shot of a VW jigsaw. It felt like magic. BTW. All the selective colouring on this shot and the previous ones is done using Silver Efex pro 2 (Pre-Google).